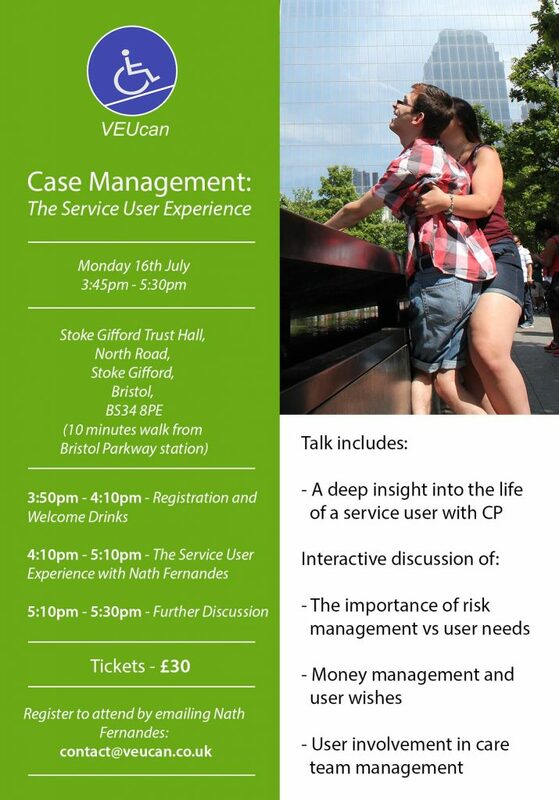 This event will help Case Managers to gain a deeper insight into the life of a client with cerebral palsy as well as the negatives and positives surrounding the field and the importance of collaborative working. VEUcan was founded in 2011 by Nath Fernandes, who has severe Cerebral Palsy, in order to promote awareness of disability to educational institutions with the ultimate aim of raising its importance to the same level as anti-bullying or drugs education. Nath is also a guest speaker at universities and corporate events sharing his moving life story defying all doctors expectations and conquering one obstacle at a time in order to achieve his ambitions. Nath’s nationwide Disability Consultancy also works alongside many organisations and care agencies to provide a wealth of specialist advice whether it be to improve customer service or facilities.